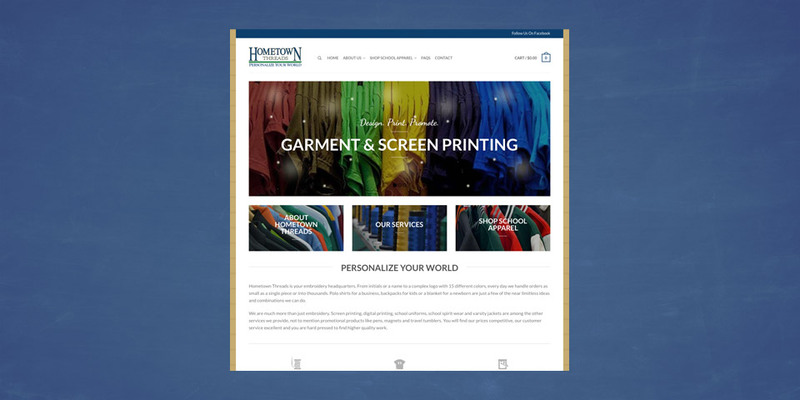 Hometown Threads is a locally owned and operated business located in North Olmsted ,since 2003. They started with two single-head embroidery machines in an 800 square foot location inside of the local Wal-Mart. Over time their business expanded, adding additional machines and services. They swapped out one of their early machines for a six-head version, and then added a four-head and two-head machine. This has increased our production capacity by a factor of more than six. Along the way they added a digital printer to allow them to create customized shirts affordably, perfect for those who need as few as one, but with the capacity to do hundreds.